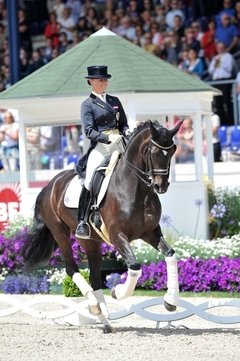 Della Cavalleria OLD won the Intermédiaire I, Eichendorff the Grand Prix Freestyle in the CDI Tour. After second place for Della and Eichendorff in the first test of the respective tours, we did an even better job today. Della Cavalleria OLD won the small tour with 73.447 % and Eichendorff the Freestyle in the CDI Tour with 74.375 %.